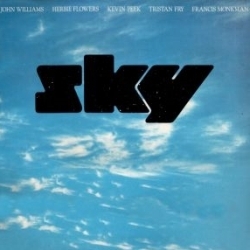 I saw classical/progressive rock band Sky in concert at the Usher Hall Edinburgh in 1983, a few months before John Williams left the band to go solo. It was one of the first gigs I ever went to (the very first was The Revillos in 1981, where I got so excited my nose bled non-stop. I still have that bloodied ticket and the memory of being name-checked on Radio 1 because of it). At the time I was mostly only listening to instrumental music (Jean-Michel Jarre, Sci-Fi soundtrack albums, that sort of thing) and Sky fit the pattern. They also introduced my young ears to classical music. Sky’s second album Sky2 was always my favourite, but Sky is the only album of theirs on Spotify. Luckily it’s the 2005 remastered version. SKY 2 NOW ON SPOTIFY HERE! Eye In The Sky is another album that meant a lot to me at the time. In the early 80s I was sent off to my grandparent’s house for a couple of weeks in the summer and arrived just as my uncle was leaving for Africa. As he packed his suitcase he gave me a bag full of cassettes and said I could keep whichever ones I liked. 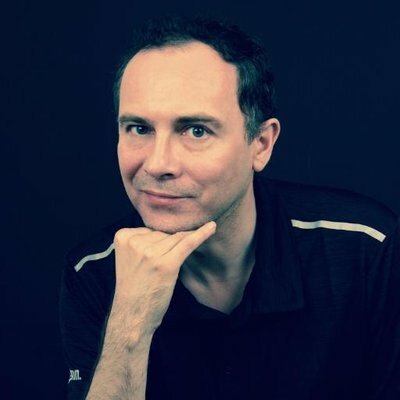 I was thrilled: there must have been 20 or 30 tapes, all from bands I’d never heard of before. 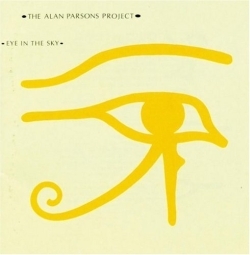 Bands like The Human League, Visage, Shakatak and these guys: The Alan Parsons Project. My synthpop love would grow from hearing those tapes, but it was Eye In The Sky that for some reason struck a chord with me instantly. That amazing intro Sirius knocked me over, and the rest of the album was just as good. Maybe a kid my age shouldn’t have been listening to such “old and wise” melancholic music, but I played it to death regardless. 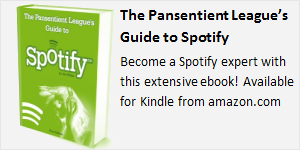 Spotify has the 2007 remaster and it sounds better than ever: timeless stuff. 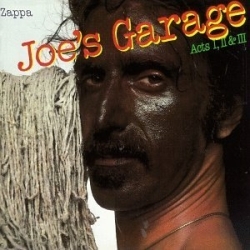 This is the CENTRAL SCRUTINIZER… For me, Joe’s Garage is Zappa’s finest album: a brilliant rock opera that tells the story of what could happen if music was made illegal. It’s also one of the funniest albums ever made, with songs like Fembot In A Wet T-Shirt, Stick It Out, and the best-named song ever penned: Why Doe It Hurt When I Pee? As a Viz-loving student I loved this album when I first heard it in the late 80s and sat giggling to myself listening when I should really have been studying. The major themes of the story include groupie migration, mockery of Scientology, appliance fetishism, garage bands and music censorship. It’s sometimes lewd but always fun, occasionally crude but always with a knowing sense of humour. Unfortunately none of Frank Zappa’s 56 studio albums, 29 live albums, or 14 compilation albums are on Spotify — it’s almost as if they’ve been censored. Anyway I highly recommend you buy the CDs as the booklets include the full, fabulous lyrics. You’ll love it (with leather).